The Find: This place used to be (i.e. 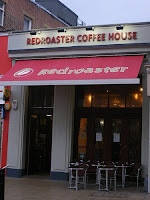 in 2005) the best place to get a coffee in Brighton, however a lot has changed since then. They still do a decent coffee, far better than the usual high-street muck. However, they will have to be careful to not let other cafes in Brighton surpass them (Small Batch, Coffee@33, Taylor Street, Marwood Studios, Cafe Coho) They still do a consistently good job so are well worth checking out. A plain and simple decor with seating arrangements that are hardly cosy (unless you bag yourself one of the few sofas!) . However, who cares about such things when you can experience coffee like this! The staff here certainly know what they're doing when it comes to coffee. 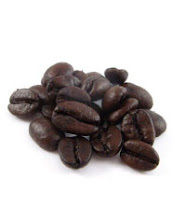 With an in-house micro-roastery where they roast all their own beans, you can't go far wrong. Queues can form quickly in this place and when they do, staff can be short and snappy. But if you can handle this style of service then your experience shouldn't be half bad. If coffee isn't your thing then try their hot chocolate, it's divine.